Our mission is simple: quality over quantity. 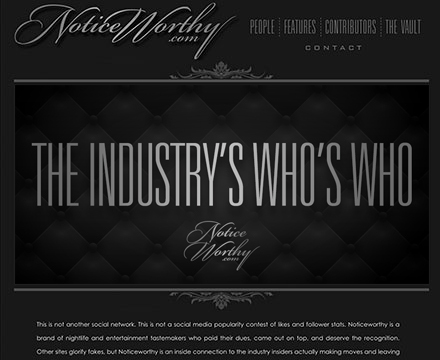 TheNoticeNetworks is a collection of websites featuring snapshot interviews with and bios of the top influencers and rising stars in their respective industries. We're extremely selective in who we feature. Each site targets a specific demographic, introducing visitors to the best of who and what's trending now and who and what's on the rise. All of our sites are designed to provide a visually pleasing 360-degree experience. Unlike other websites, which overload visitors with far too much stimuli, our format streamlines content, providing just enough information to keep users yearning for more while providing the necessary resources to dig deeper into the content that piques their interest. The result is an organic, accessible experience. One of the most powerful components of our business plan is that our sites’ featured content promotes itself to a continuously growing yet targeted community. We provide our profiled influencers with the necessary tools to promote their interviews and bios on multiple social media platforms, putting our content onto the screens of their extended networks of fans, followers, and friends. 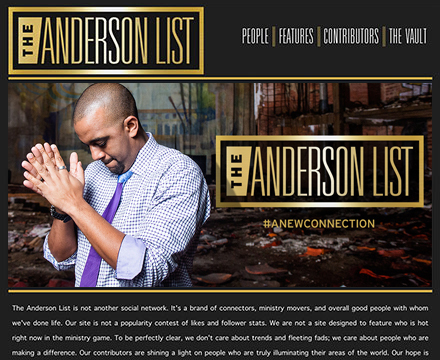 This builds a mutually beneficial relationship between the sites and our featured influencers. We offer them instant and unprecedented exposure from a genuine platform, while we build brand recognition and our association with influential brands and people. Our advertising monetization model isn't based on impressions or clicks, but on the value of the individuals featured on our websites, the strength of their influence, and our engaging content. We've created a unique user interface that strategically introduces users to advertising brands' products and businesses alongside featured content with which a natural association exists. TheNoticeNetworks cut through the noise, offering a targeted marketing opportunity with immeasurable long-term value by putting relevant products and brands in the minds and hands of all the right people. 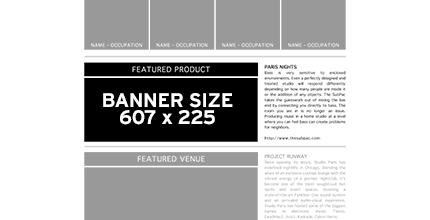 Bring notice to your product, venue, event, or project by featuring it on one of our sites. Features consist of a 500-character professional write-up, a hyperlinked banner, and a link to the associated website. Features remain on the homepage for the period of one update. Thereafter they are moved into The Vault section of our site, where they are viewable indefinitely. All features also include promotion on the associated website's social media accounts. As a result of profiled influencers creating buzz around their interviews, bios, and featured content, and all of their friends, fans, and followers doing the same, our websites maintain strong and consistent traffic. All of our sites have been designed with strategically placed yet unobtrusive advertising banners, featuring creative animations that catch the attention of visitors as they rotate between advertisements. 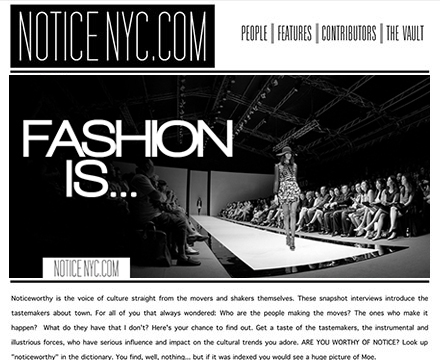 The largest and most visible advertising space on the site. 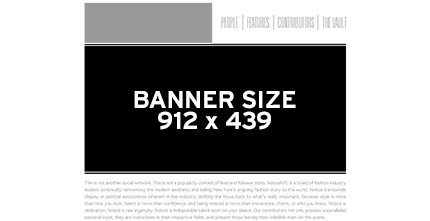 This banner functions as the focal point of the homepage and features eye-catching animation. Programmed with a clickable hyperlink to the associated website. For maximum exposure, we limit this space’s availability to 4 customers per/update. 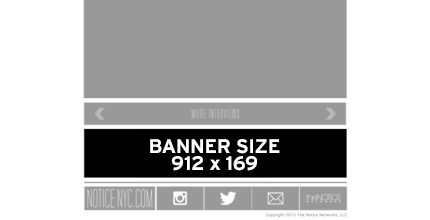 This banner functions as a footer with placement on each page of the website. Visitors view the ad multiple times, without it becoming intrusive. It is strategically positioned directly beneath each interview for visibility. Programmed with a clickable hyperlink to the associated website. For maximum exposure, we limit this space’s availability to 10 customers per/update. Email marketing isn’t what it used to be. The average user receives so many spam emails that email blasts have become an annoyance, resulting in poor open and click-through rates. Because of this issue, we take a different approach. TheNoticeNetworks only partner with brands we believe in, so when we endorse a product, we will gladly introduce that product to our network by sending out personalized emails to let them know why. 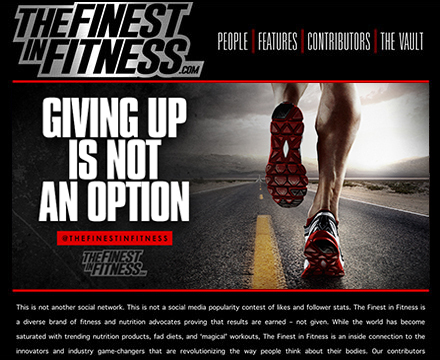 To ensure our campaigns are well received, we limit this service to one advertiser per month for each website. Emails consist of 500- to 1,000-character professional write-ups and a hyperlink to the product’s website. Having the right people talk about your brand remains one of the best forms of promotion. Product placement and celebrity endorsements have become a common practice, but TheNoticeNetworks take this concept one step further. We understand the powerful influence of all those we interview and profile, and as part of our agreement with profiled influencers, each consents to receive promotional items via direct mail. This means we can put your product directly into the hands of top influencers and tastemakers from all over the country, encourage them to post pictures and start conversations on social media, and provide honest feedback through data-collection forms on the back end of our websites. Complimentary products must be provided by the brand/business.